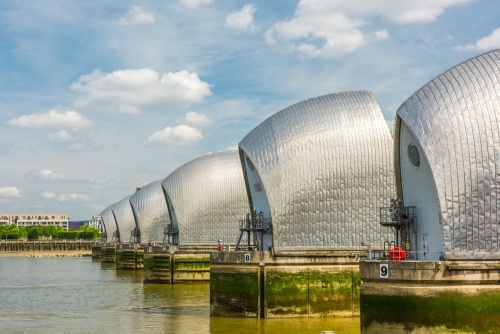 The Thames Barrier has been described as the Eighth Wonder of the World. 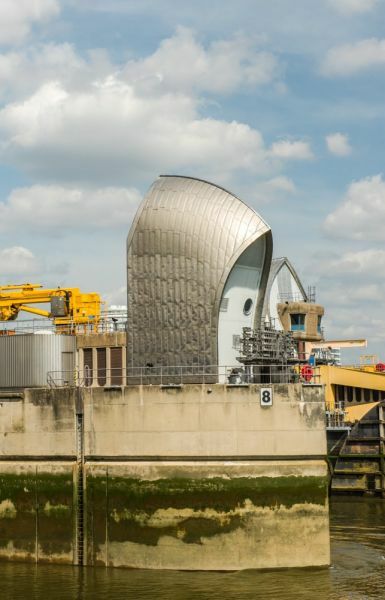 The Barrier looks like a surrealistic vision of the future, but its purpose is rather more mundane; it was built to control flooding on the Thames. 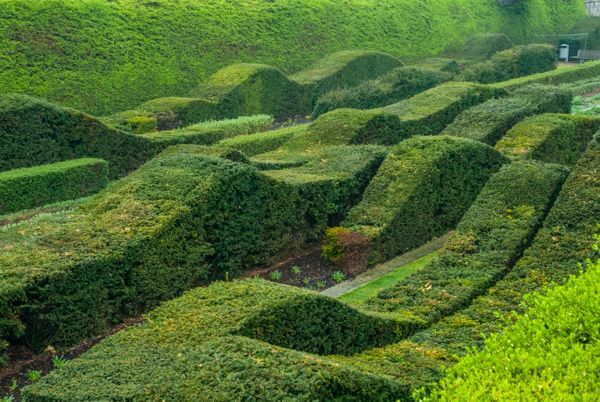 It is composed of a series of hidden underwater gates that pivot up when needed. You cannot actually go inside the Barrier, but you can take a 25-minute boat trip around this amazing structure. On the bank, there are visual displays, a riverside walk, and viewing platforms. The Barrier is one of the largest movable flood control devices in the world. 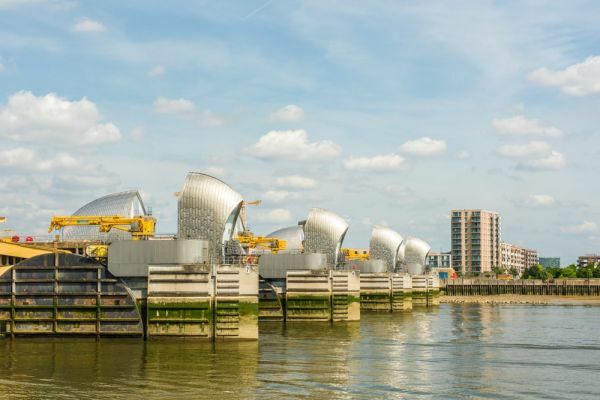 It stretches 520 metres across the river, and helps control water levels against tidal surges, protecting some 125 square kilometres of Greater London against flooding. 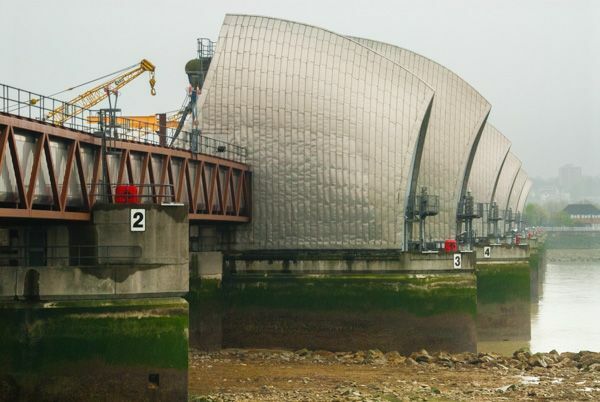 The Barrier opened in 1982, with a series of 10 steel gates that can be raised and lowered as needed, according to water and tide conditions. Each of the main gates weighs in at a whopping 3,300 tonnes, and when they are fully raised the gates are as high as a 5-storey building. 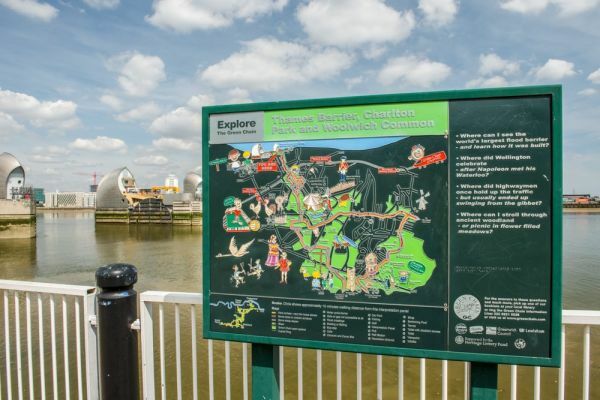 You can reach the Barrier by road, rail, boat, or tube - the easiest by far from central London is by DLR to Pontoon Dock station, but realise that this is the north bank of the river, and the visitor centre is on the south bank! The visitor centre on the Woolwich (south) bank is open from Tuesday-Saturday for the general public, and at other times for groups. We've visited both the north and south ends of the Barrier. For our first visit we opted to take the easy route - on the DLR to Pontoon Dock. 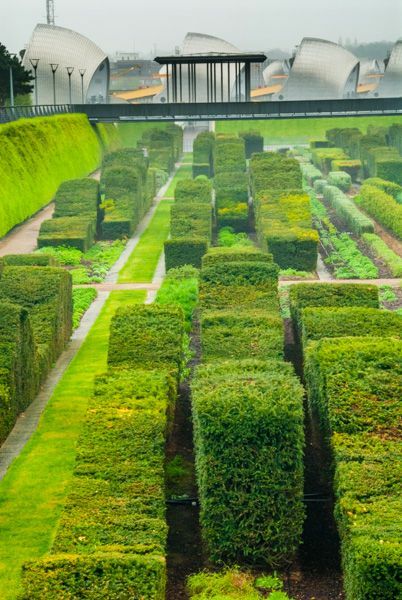 This lets you out at the edge of Thames Barrier Park, a lovely green space running down to the river, with clipped hedges resembling waves flowing. To reach the visitor centre and the south end of the Barrier we took the overground rail service from London Bridge to Charlton station, then walked east along Woolwich Road. We turned left onto Manorway, and followed the brown tourist signs to the visitor centre. Its actually much more interesting to visit the south bank site, but it is a lengthy walk from Charlton station.